We have found that helping the neck and shoulder muscles release first and foremost helps with the Chiropractors treatment for the neck pain. Depending on how the patient responds, usually several treatments are needed for these changes to stick. Some take as little as 1-2, while others it can be up to 4-5. Once the neck pain has reduced the the body has become more accustomed to moving differently, then we teach the same type of treatment for home use as well. This type of neck pain self treatment also takes several visits with the chiropractor, typically 3-4 depending on the findings. At this point the neck pain is in the “self-management” phase, where the patient can perform at home the treatment to help keep the pain down and keep them out of the chiropractors office. 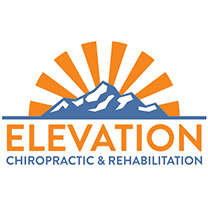 There may be a few minor flare-ups, as well as some ups and downs with this home care, but overall we have found that this has continued to help our patients achieve longer lasting results when dealing with their neck pain.